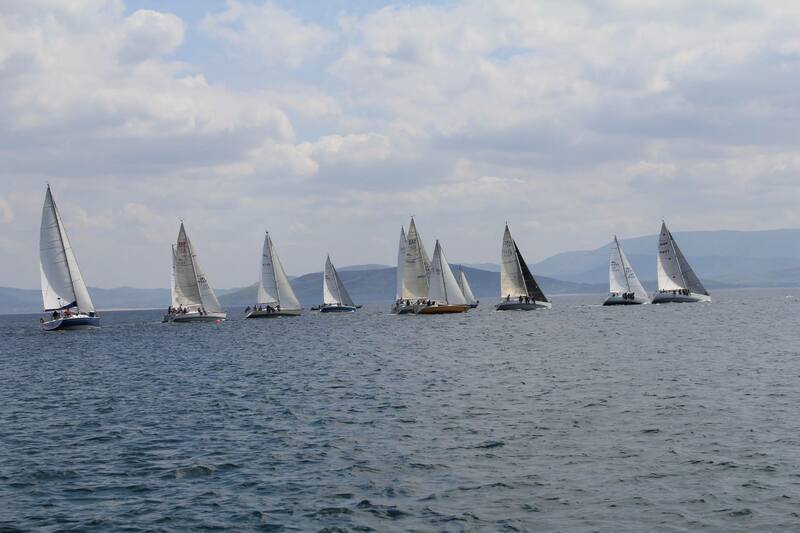 The Mayo Sailing Club website may provide links to third-party website for your convenience and information. Mayo Sailing Club is not responsible for the privacy practices or the content of such website or for the privacy policies and practices of other third parties. Personal Information – is information that is associated with your name or personal identity. Mayo Sailing Club uses personal information to understand better your needs and interests and to provide you with better service. Once you choose to provide us with personal information, you can be assured it will be used only to support your relationship with Mayo Sailing Club. We take seriously the trust you place in us. Mayo Sailing Club will not sell, rent or lease your personal information to others. 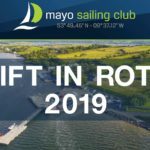 On the Mayo Sailing Club website, you can create and renew your membership, request information, subscribe to marketing or support materials, register yourself, or apply for a seasonal position. The types of personal information you provide to us on these pages may include name, postal address, phone number, e-mail address, user IDs and passwords, billing and transaction information, boat and related services information, contact preferences. The Mayo Sailing Club web site never directly accesses or stores your credit card information. Non-Personal Information – is data about usage and service operation that is not associated with a specific personal identity. Mayo Sailing Club collects and analyses non-personal information to evaluate how visitors use the Mayo Sailing Club website. Mayo Sailing Club is committed to protecting the privacy needs of children and we encourage parents and guardians to take an active role in their children’s online activities and interests. 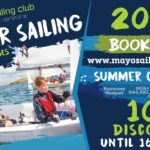 Mayo Sailing Club does not knowingly collect information from children under the age of 13 and Mayo Sailing Club does not target its website to children under 13. How Mayo Sailing club uses your information? Mayo Sailing Club uses your personal information to provide you with services, club related information and to help us better understand your needs and interests. Specifically, we use your information to help you complete a membership transaction or order, to communicate with you, to provide service and support, to update you on courses and benefits, to personalize promotional offers and to personalize some aspects of the Mayo Sailing Club website. Occasionally we may also use your information to contact you for market research regarding Mayo Sailing Club events, courses or club related news. We will give you the opportunity to choose your privacy preferences regarding such communications via your account. The Mayo Sailing Club web site stores your data on servers within Ireland. 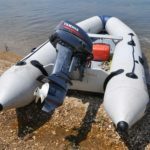 It does not pass your data to third parties, except by displaying results containing the names of owners, helms and crews of boats and some 3rd party tools used for the management of newsletters and club communications. Non-personal data is aggregated for reporting about Mayo Sailing Club website usability, performance and effectiveness. It is used to improve the customer experience, usability and website content. Who Mayo Sailing Club shares your information with? Mayo Sailing Club will not sell, rent or lease your personal information to others. Mayo Sailing Club will not share your personal information with third parties except in responding to your requests for products or services. Your data is collected is made available in a controlled and limited away to officers of the club to allow them to fulfil their roles in each case. In each case, Mayo Sailing Club provides the mechanism by which the personal data is collected, processed, stored and displayed. If a third party serves on Mayo Sailing Club a subpoena or other lawful document compelling disclosure of your identity, Mayo Sailing Club will use its best efforts to provide you notice to the latest address in our files. Mayo Sailing Club is not responsible if your contact information is not current or if Mayo Sailing Club is otherwise unable to provide notice. 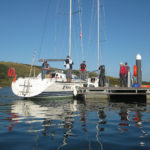 Mayo Sailing Club gives you the choice of receiving a variety of information that complements our activities and events. You can subscribe to receive certain specific information and Mayo Sailing Club -wide marketing communications. 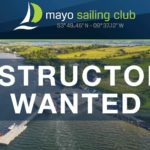 Mayo Sailing Club-wide communications may include events, new course information, early bird special offers, and reminders about club related renewals. We give you a choice regarding delivery of Mayo Sailing Club-wide communications by e-mail and online messaging services. We will make every effort to honour your preferences. This option does not apply to communications for the purpose of administering membership order completion. You can choose to receive these types of communications by following the instructions at the time of entering your personal data (“opt-in”). Email us directly at web@mayosailingclub.com – be sure to provide your name and the relevant e-mail address. Mayo Sailing Club is committed to protecting the information you provide. To prevent unauthorized access or disclosure, to maintain data accuracy, and to ensure the appropriate use of the information, Mayo Sailing Club has in place appropriate physical and managerial procedures to safeguard the information we collect. When you pay for your membership, course or associated club fees you can do so through a secure server. The use of Secure Socket Layer (SSL) technology means that all personal information, such as your credit/debit card number, will be encrypted as it travels from your computer to the payment gateway. If there are updates to the terms of Mayo Sailing Club’s Privacy Statement, we will post those changes and update the revision date in this document, so you will always know what information we collect online, how we use it, and what choices you have. Last updated: March 14th 2018. These cookies enable services you have specifically asked for. These include session cookies that allow users to stay logged in while navigating through the website and carry out essential tasks such as adding items to a shopping basket when purchasing courses or club fees on our website. These cookies don’t usually contain any personally identifiable information and are typically set by Mayo Sailing Club to provide specific services such as e-commerce transactions. These cookies are used to collect statistical information about visitors of the website and the pages they view. These cookies don’t collect information that identifies a visitor. All information these cookies collect is aggregated and used anonymously. Mayo Sailing Club set Google Analytics cookies to gather this statistical information. While not currently used on our web site these cookies are used to deliver advertising that is more relevant to you and your interests. They are also used to limit the number of times you see an advertisement as well as help measure the effectiveness of the advertising campaign. Some examples of services that use these types of cookies include Google AdSense or DoubleClick. Some cookies that have been set on our website are not related to Mayo Sailing Club. When you visit a page with content embedded from a third party such as YouTube, Twitter or Facebook, these service providers may set their own cookies on your web browser. Click the link for more information on how to manage cookies, including opt-out of performance cookies. Click the link for more information on how to opt out of Google Analytics. How does the Mayo Sailing Club website protect my privacy and comply with the General Data Protection Regulation? Mayo Sailing Club takes the protection of your data very seriously. To that end our web site only collects the minimum amount of information needed to manage your membership and related preferences and payments. The name, email address, postal address and account preferences (receive newsletter for example) and club related payments of each registered member. Registered members are those people who can log into an account on Mayo Sailing Club member’s area. Mayo Sailing Club does not collect personal data other than that which is provided to us via this member’s area and our contact form. This data is collected is made available in a controlled and limited away to officers of the club to allow them to fulfil their roles in each case. In each case, Mayo Sailing Club provides the mechanism by which the personal data is collected, processed, stored and displayed. The Mayo Sailing Club website stores your data on servers within Ireland. It does not pass your data to third parties, except by displaying results containing the names of owners, helms and crews of boats and some 3rd party tools used for the management of newsletters and club communications. The right to see any data about yourself. The right to correct anything that is wrong. The right to have your data deleted. To exercise any of the above rights, in the first instance you should contact the registered member who inputted your data via their own account (in the case of a family account for example).